Publisher Activision is offering refunds to Guitar Hero Live players after wiping all but 42 songs from its 500-plus library. 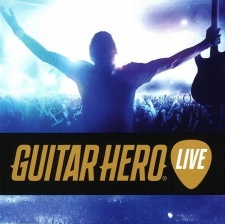 Pushed as a soft-reboot of the plastic peripheral franchise in 2015, Guitar Hero Live’s big sell was Guitar Hero TV - an extensive, online library of songs that rotated in and out. In December, that service shut off, leaving Live players with only the stock setlist of 42 songs. The refund may have been spurred by Californian Robert Fishel, who raised - and then dropped - a lawsuit against Activision after purchasing Guitar Hero Live two years after launch. As Polygon reports, Fishel “reasonably expect[ed] that Activision would not subsequently eliminate his ability to use the vast majority” of songs shortly after his purchase. To compensate, Activision is offering latecomers in the United States the option to refund their purchase of Guitar Hero Live. Hopeful refund recipients will require a receipt or a copy of their bank statement relevant to the purchase - although those without can still file a claim and Activision will attempt to determine eligibility. "Activision is offering a voluntary refund program for customers who bought the Guitar Hero Live gaming system on or after December 1, 2017, in the United States," said Activision, on the Guitar Hero Live support page. "Customers may qualify for a refund if: they purchased Guitar Hero Live in the United States during the period starting December 1, 2017, and ending on January 1, 2019; they submit a completed Claim Form by the deadline of May 1, 2019; and their purchase of Guitar Hero Live since December 2017 can be confirmed by Activision. Guitar Hero Live's attempt to ignite new life in the peripheral-based music game genre failed to stick - as such, it's hard to see why Activision would go through the hassle of renewing music licenses for it. It wasn't just Activision who failed to reboot its wildly popular music simulator franchise. Mad Catz and Harmonix also had little luck with Rock Band 4, which also launched at the end of 2015. In fact, that went so badly that it was a sizeable factor in Mad Catz going out of business.